To be successful, restaurants must correctly manage and execute limited-time offers. 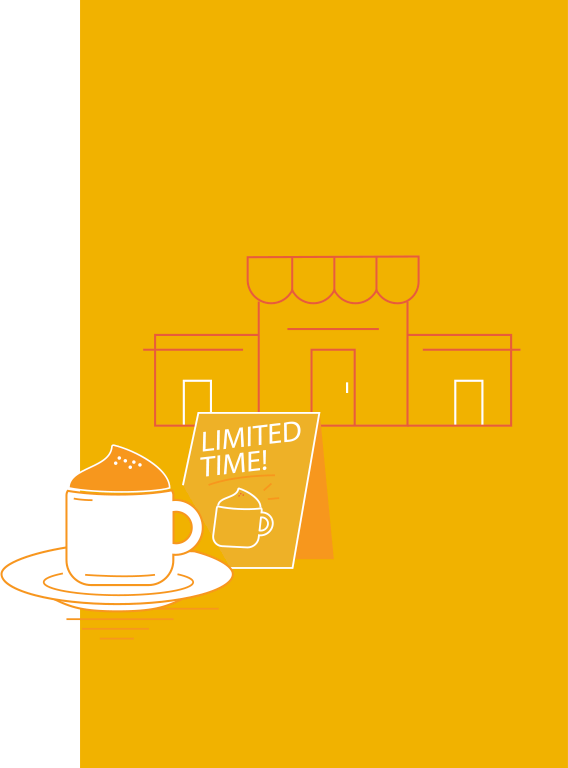 Limited-time offers (LTOs) are a frequently-used strategy in the restaurant industry, as evidenced by Starbucks’ Pumpkin Spice Latte, Olive Garden’s “Buy One Take One” offer, and many others. LTOs allow restaurants to test menu items to see if customers like them — without committing the items to the permanent menu board. The short time frame increases urgency for customers who want to try new dishes before they disappear. Well-designed and marketed LTOs can drive significant revenue. But after management has chosen an idea from the drawing board, there’s a lot that goes into proper LTO execution. Corporate must make sure that each location is prepared for launch, operates appropriately during the offer, and analyzes results once the offer ends. When you’re dealing with hundreds (if not thousands) of locations, it’s critical that materials are placed throughout each restaurant advertising the promotion. Two different locations in the same city or state need to have consistent displays and LTO materials. Marketing signage like table toppers, window clings, and the like should be constant reminders of the current LTO. Execution management software can help restaurants complete and check their work by providing a set of clear instructions and a way to let corporate know when certain tasks are finished. All that marketing signage is great, but restaurant employees are an even bigger sales driver. When customers ask, employees must describe the LTO in a consistent manner. What’s in the menu item? What’s it similar to? How does the employee like it? What complements this menu item? Customers want to know. If employees across locations describe the LTO in varying ways, it can have a negative impact on the brand. Execution management software can provide employees with the resources they need such as videos, guides, and more for each LTO. For many LTOs, restaurants will need components that they don’t normally have. Maybe there’s a specially-marinated meat, extra-large taco shells, or new drink flavorings. Based on traffic at each restaurant, management will have a general idea of how much product to have on hand. 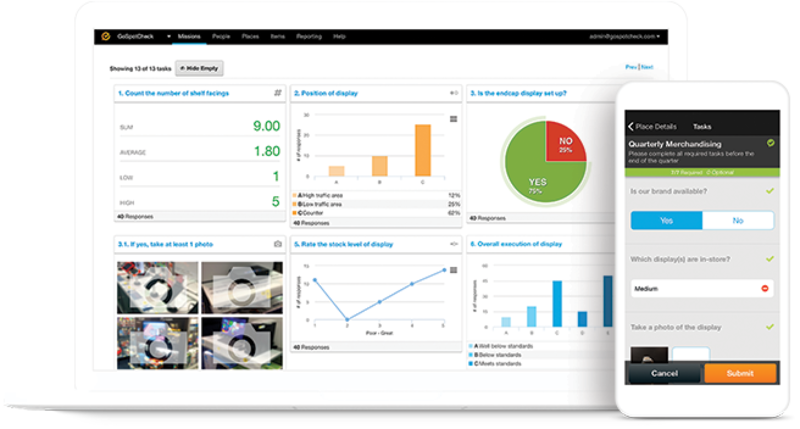 Execution management platforms can help employees check new inventory shipments — when they arrive, what components are included, and whether or not anything is missing. Corporate is often responsible for facilitating and supporting LTO training for restaurant employees. Did employees remember critical training points? Make sure employees are offering customers consistent LTO messages with on-the-fly assessments. These quick quizzes can be easily configured in an execution management platform. They both ensure that employees are ready for guests and provide an opportunity to add any new detail since the LTO launched. Let’s assume the initial inventory check confirmed all supplies were available to launch the LTO. As the LTO runs, that inventory must be monitored. Customer demand may increase quickly and prompt an additional order. Using execution management tools to monitor LTO stock helps restaurant staff be proactive and avoid an unnecessary stockout. There are few things more frustrating than walking into a restaurant and reading about a delicious menu item — only to be told that it’s no longer available. Make sure customers avoid this negative experience by taking down all signage and informing staff as soon as the promotion ends. An execution management system can help all locations maintain compliance with scheduled takedown procedures and provide verification that all promotional signage was removed correctly. After executing an LTO, restaurants are responsible for analyzing their success or failure. LTO performance can be measured in a variety of ways including brand awareness, sales at each location, and overall store sales. Differences in performance by region, type of account, or manager can drive changes for the next LTO. Sales data for the LTO may be obtained from each restaurant's point-of-sale (POS) system, but there are other independent factors that may influence sales. Looking at specific restaurants, an execution management system’s reporting tools and dashboards can provide real-time visibility into LTO results. For example, a report could tie together sales data with promotion compliance. Do high compliance rates correlate to higher sales rates? If compliance rates are low, where could each restaurant improve? LTOs can be wildly profitable for restaurants, but they also incur big expenses in the form of promotional materials, employee training, and inventory management. In order to generate the highest level of ROI on the LTO investment, restaurant executives must create standardized processes to easily distribute to managers and employees.